Lorena Evans, Brendan Lyons, Rep. Ethan Orr and Senator Steve Farley meeting with Deputy Gutierrez to discuss bike safety laws. 50 weeks ago I went to UAMC- Diamonds Children center to see Brendan Lyons after he was in a collision on his bike while riding his bike on East Sunrise. A few days later I orchestrated the media and a meeting in Brendan’s hospital room with Senator Steve Farley and Representative Ethan Orr to discuss laws for cyclist safety. As a result, we introduced 4 bills in the state legislature last year. Unfortunately, not even one made it out of committee. Brendan and I have spent hundreds of hours in the past year trying to find ways to make cycling safer. Yesterday, El Tour de Tucson announced that Brendan and his girlfriend, Lorena Evans, who was also in the collision, are the honoree for the 2014 El Tour De Tucson. Wednesday night, at 9:30 Brendan called me and told me that he had met with Office Art Gutierrez, who was struck from behind this week and at UAMC. After burning the midnight oil, Thursday morning, life came full circle and I found myself at UAMC with the media, Rep Orr, Senator Farley, Brendan and Lorena. 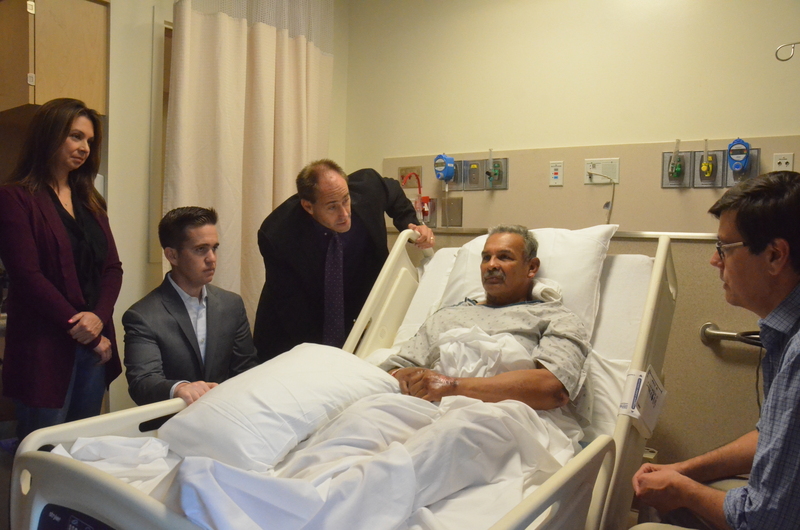 This time in the hospital room we also had Pima County Sherriff Deputy Art Gutierrez, his daughter, Cynthia, girlfriend, Delia, as well as some of the Sherriff Department brass. Brendan asked the Deputy if he would like his story shared. Like so many people who serve our country, Art was willing to put his personal suffering aside if it might help save someone else. His daughter Cynthia and son Alex are also cyclist. They recently rode in El Tour De Mesa as a family and finished in about 3 and a half hours. Cynthia was the first member of the family to get into cycling 7 years ago. Art got on the bike because of her 5 years ago. She recalled with a smile that in the first El Tour she rode with her Dad that it took them 8 hours. In 2013 they had shaved over an hour and a half off that time. Alex got on the bike last year and this year they were expecting to be even faster. Delia also caught the bike fever and recently bought a bicycle. The details of the accident are only too familiar. A driver came up behind the Deputy and struck his Bike from Behind. Statistically, this type of collision is the most common to result in a death. All things considered, it looks as if Deputy Gutierrez got off with only “minor” injuries ( If spending days in the hospital and not knowing when you will be released are minor) He has no recollection of the actual collision and woke up in the hospital. Deputy Gutierrez, much like Brendan after his accident talked a lot about how safety is every ones responsibility. Both the cyclist and the motorist. He said it was “surprising” waking up at UAMC, he had no clue what had happened. He has no broken bones, but possibly had a small stroke that has led to a lack of feeling on the right side of his body. He has road rash all over his body. When asked if he was going to get back on his bike he replied “as soon as I can, It is something I really enjoy, I want to go back”. Asked about the accident and who was at fault and how the Sherriff Department would investigate he said that the Dept. will do a full investigation but that he has no recollection of what happened. A full investigation will be conducted to determine who was at fault. He stated again that sometimes it is the cyclist, but that the investigation will determine the fault. The driver did stick around after the collision. The collision was on Tanque Verde between Houghton and Tanque Verde Loop. He was on his way to ride up Mt. Lemmon to mile 4 or 5. He had only gone about 3 miles on his ride. One thing that was very clear during the interview was how level headed and patient he is. He understands that the solution is patients and understanding with efforts from everyone who uses the roads. Perhaps if everyone can have a mindset like that, we could truly create an environment that is safer for everyone. I’m so thankful that Deputy Art Gutierrez will make a full recovery and hope his spirit and ideas will spread throughout the Pima County Sherriff Dept. This is a more of a mini novel than a blog. It contains the interview with Brendan Lyons and Lorena Evans about a collision with a car on October 4, 2013 . Also, interviews with Senator Farley and Representative Orr about what bike laws we might be able to create in the next legislative session.. My break down on why this all came together. Having been there for the entire time and seeing the final news reports, it is incredible how 45 minutes is condensed into a 2 minute segment. I tried to omit nothing to give a more in depth perspective (perhaps too much). My good friend Brendan Lyons was hit by a car while riding his bike last week with his girlfriend Lorena Evans. Lorena got off easy with a broken wrist (at least that’s all that I know she hurt). Brendan on the other hand ended up In the Hospital and is still there. I went to visit Brendan at UAMC Diamond’s Children in his hospital room. For some time I have helped him manage the facebook page for Look! Save a Life. 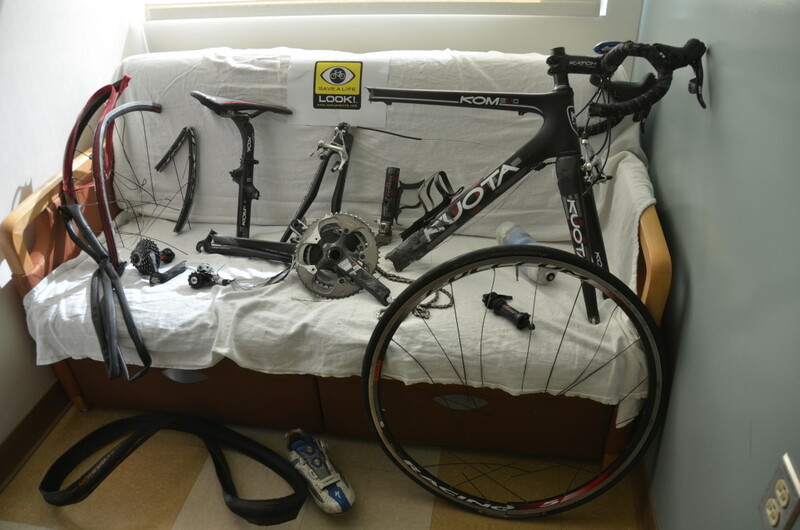 I have known many cyclist who have spent time in ER and the hospital, but this is the first time I went down to see if I could help (I’ve never been a huge fan of hospitals, I was told as a kid the best way to stay healthy was to avoid hospitals and I have been living that lifestyle). Even with the pain meds, I could see the grimace on his face every few sentences, but his mind was clear and we had a very long conversation. We talked about what he remembered from the crash, nothing. My favorite topic after a bike crash. How was his bike? Shattered in 13 plus pieces. Where it happened? Sunrise heading East before Kolb. One point was very clear. He wanted to find a way to make this into a positive experience. The question he wanted to know was how could he help save even one life or prevent one collision as a result of his current situation. The conversation went to how Look! Save a Life could get recognition and use his misfortune for the benefit of the community. We went over the downside to being public, but he was set on doing anything that could to save someone from the anguish he was going through. Together we discussed what he wanted to see. Laws that really protect cyclist! A state wide no texting while driving law! A hands free law!!!!! Expanding the 3 foot to a 5 foot wide passing law and more teeth and penalties for cars who hit a cyclist. After we had the idea the rest fell on me. 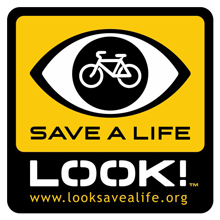 Fortunately, I have great political connections on both sides of the isle in the state legislator and know the Representatives and Senators who believe in protecting the safety of cyclist. ( If anyone has 1ooK and want’s to support me for a year I’ll become a full time bike lobbyist for the state of Arizona) Both Senator Steve Farley and Representative Ethan Orr were willing to shuffle their schedules to meet with Brendan to talk about the laws we discussed. With the assistance of Katie Riley from UAMC and Grant Cesarck from Rural metro we were able to coordinate the logistics of bringing news crews in the hospital and to get a press release out. THANK YOU Katie and Grant! Everything went very well and KVOA and KGUN both sent crews out. KOLD was not able to make it, but we might do another interview in a few days. AZ Daily Star sent a reporter as well. Senator Farley, Representative Orr, Karen Mlawsky, CEO of UAMC, Andy Theodorou, MD, Chief Medical Officer of UAMC all attended the meeting. Senator Farley, Representative Orr, Lorena Evans, Brendan Lyons, Karen Mlawsky, Andy Theodorou, MD. Prior to the media being allowed in Brendan had an opportunity to talk to the others about what he wanted to accomplish. What hit me was that everyone in the room except Dr. Theodorou ride bikes on a regular basis. The conversation was really preaching to the choir and it seemed that not only was everyone in agreement but that it was more of a brainstorming session. Dr. Theodorou had many points to ad from his prospective in the hospital and seeing so many patients who were in collisions. One point everyone really agreed on, WEAR A HELMET! Brendan would be dead, no question, if he was not wearing his lid. Even before the actual interview began it appeared that Brendan would grimace in pain while talking. I thought, What type of a person is willing to expose themselves to this when they are hurting so much? My answer is, a public servant of the highest caliber. He is the fire fighter through and through. A man who is willing to sacrifice himself for the good of the many. I cried a few times listening to his passionate speech. The interview: Surrounded by Farley and Orr with Lorena next to him on the bed the news crews took turns interviewing Brendan. I TOOK THE BEST NOTES I COULD. I DID NOT EMBELISH AT ALL, BUT I’M NOT A GOOD SECRETARY AND EXACT WORDING MIGHT BE OFF. KVOA: Can you walk us through what happened? Brendan Lyons: On Friday, We were on a training ride for El Tour de Tucson in the bike lane, a very wide bike lane, Lorena was on the left of the lane and we were struck from behind. That is all I remember. BL: As you can see I suffered some serious injury and I’m very fortunate to be here to talk to you. Because I was wearing a helmet I’m here today. KVOA: You mentioned you were a fire Fighter. BL: It puts taking care of people on a whole. I need to take care of myself and my girlfriend now. Hopefully, by talking to you today, I can help save lives and I can help people. KVOA: What do you want cyclist and drivers to take form this? BL: If I was not wearing a helmet, hands down, I would be dead. My helmet was crushed in and I would be dead. Follow the rules of the road. Don’t oppose traffic. Ride in the bike lane. Ride with the flow of traffic. For drivers, Most important, keep your hands on the wheel and pay attention. Get off the phone, don’t text , two seconds with your hands off the wheel can kill someone. KGUN: You said you advocate for riders safety with Look! Save a Life, did you ever think you would be in this position? BL: I never believed this. I hoped that I could help share the mission of keeping people safe. This is a two way street. This is not an attack on drivers. I want drivers to pay attention. Give a little extra space. Even if it is a 3 foot law, give five feet. There is no reason not to give space. To have a big truck blow by you in a bike lane is hard to comprehend if you are not a cyclist. KGUN: Why are you doing this? BL:I’m doing this to potentially save lives. I’m a fire fighter. I care about people. I genuinely care about people. I don’t want to see anyone else hurt or killed. I’m doing this to save lives. KVOA: Anything else you want to say? When I see my bicycle I do not know why I am here. I should be dead. I keep thinking that over and over. We are both incredibly lucky to still be alive. 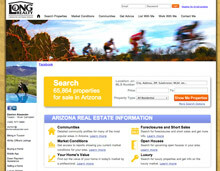 KGUN: Fellow riders are they offering support? BL: Fellow riders, fellow fire fighters, people I don’t even know have been coming forward. Put a smile on your face and pay attention to the road. 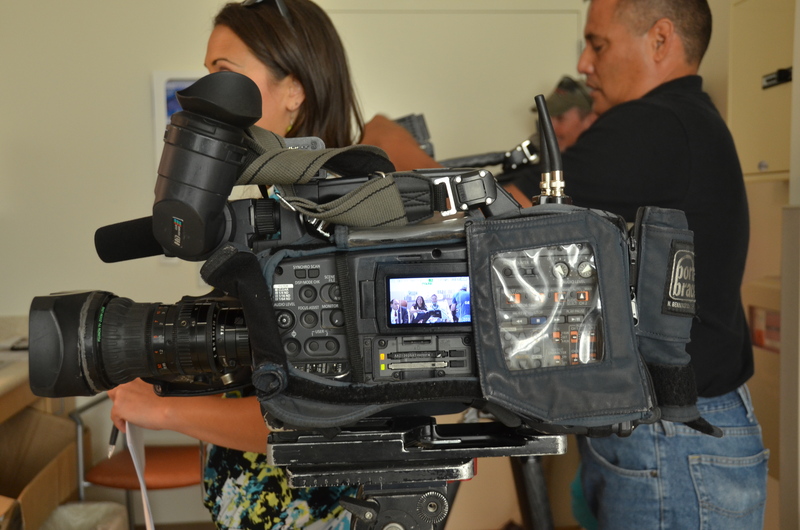 KVOA: You have been working with some local leaders. Can you talk about this? BL: People don’t understand why there are so many cyclist here. We have the weather, we have the infrastructure. There are hundreds of mile of roads in Tucson and Pima county with adequate bike lanes, but there needs to be more, there is a 55 mile loop being built, if we don’t have the laws that support this we are doing a disservice to not only cyclist, not only to cyclist but to Firefighters, Doctors, Police offices, Mothers, Fathers, sons and daughters, we are doing disservice to your family members. There is a law that if you hit a cyclist in a bike lane that it is a $500 fine, if you kill him it is a $1000 fine, but in part of Arizona you can be fined $2500 for feeding a wild animal. Where is the human element? It is really disheartening. KVOA: And this is something you are going to work on changing? BL: I’m going to focus on my recovery, and advocacy. Focusing on helping people and getting better. Focus on Tucson being better. We don’t need to follow other states. We can step up. We are a huge cycling Mecca. We can set the example for other states. Take care of your brother. Pay attention to drivers as well. KVOA: Lorena, Do you want to say anything on your experience or hearing him say he should not be here? LE: It’s hard, I remember everything and he does not. I saw him on the ground and honestly thought he was dead. I’m thankful we are both alive and here and able to heal to move forward from this. KVOA: I’m getting the impression from listening to you that this is not going to stop you from getting on the bike? BL: Still going to get on a bicycle! Still going to ride! Still going to be safe! Still going to look out for traffic! I’m a driver as well. I pay taxes. I helped pay for these bike lanes. It’s wonderful to have a means to be healthy and ride to work, It’s good on the economy. Absolutely, I’m still going to ride a bike. KVOA: Anything else you want to ad? BL: I’d also like to see any laws that are implemented to be added into the driver education test. Many people just don’t know the laws. It needs to start in the high school. END BL Interview. Start Steve Farley Interview. KVOA: Tell me what brought you here with us today? SF: Traffic safety has been one of the top priorities in the legislator. Jan 2007 I was the first legislator in the country to introduce a bill to ban driving while texting for anyone, Here in Arizona we are now one of the last state in the county that has no law for texting while driving for anybody, but we also collect no data on our accident reports. I’m tireless on this because over the course of my seven years in the legislator I’ve had many families and people who were hurt, injured, killed, come to my office and tell me about inattentive driving. We have to stop this. We have to save lives. KVOA: What does Brendan and Lorena’s story show us? SF: There is a huge problem. If you talk to anyone in the ER here ,firefighters, first responders, they have seen countless examples of the carnage that happens when people indulge in distracted driving. There is nothing that says you can’t stop distracted drivers right now, and that is one thing I want to emphasis. Every time you are doing a story out here about these types of things, you are saving lives, But when you put a law in place against certain practices that are dangerous then you strengthen that little cop in our head that says “don’t do it.” You put in in the driver education curriculum, So that every kid and every person who learns to drive understands it is unacceptable to do and we need a law, we need everyone to look at the road ahead of you. We have to get that message to everyone we need a law, we need education and we need enforcement. KVOA: And those will be the basis of laws as we see going into the next legislative session? SF: I will never stop that effort. I have seen the type of pain you have seen here today. It is so preventable. It does not need to happen. KGUN: Tucson is one of the best cycling community, isn’t it ironic our laws don’t reflect it? SF: It is ironic. Too often you have seen peoples ideology, partisan stuff get injected into this, this is not a Republican or Democrat thing, this is a life saving thing, The distracted driver does not look at your political ideology when he runs you over. KVOA You mentioned you are a cyclist yourself. This must have hit close to home for you. EO: You are incredibly vulnerable out there and what a lot of drivers don’t understand is a bump or tap that might scratch their paint may kill someone. KVOA: So what are you hoping to accomplish here by getting Brendans story out there? EO: We have been working in a bi-partisanship way with the South West Community on a series of bike safety protection laws. Had these laws been in place, now, we might not be here today. KVOA: And what sort of laws are we talking about here? OE: I will. But the other thing I want to do is meet with cyclist around the state to work on platinum recognition and international standards and to get other cyclist ideas to incorporate them into legislation. KVOA: And you said this is a joint effort and it does not matter on the party. Are you in this together? EO: It does not matter what party you are in. Doing the right thing, that knows no partisanship. And when it comes to saving a life, when it comes to protecting our community, and enhancing our quality of life, It’s just common sense. 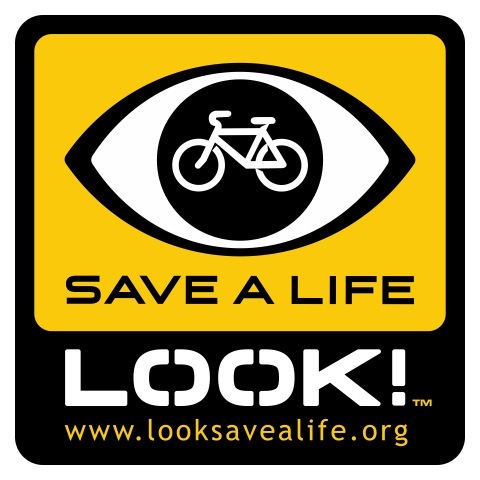 KVOA: Have you had any close calls when you are on the bike? EO: Certainly. I have had cars that will literally pass within a few inches of me and then go around a pot hole 10 feet in front of me., if a pot hole is more valuable than a human life, something is wrong. KVOA: We talked about drivers. Do you feel there is some improvement that can be made on the cyclist side as well? EO: I think it is about communication. If we are building all of these bike lanes. We need to connect all the bike lanes. We have the infrastructure. There has to be an understanding of what cyclist bring to the economy and what we bring to the quality of life. KVOA: And when you said economy, we have el tour coming up, it’s a huge community here. EO: When you think of it, all of our resorts, they need amenities that bring people here and cycling is big business. We need to understand what the cyclist bring to the economy. End of Ethan Orr Interview.